Wireless Audio, a term that is loosely translated to “audio signals that travel without wires”. For decades, audio signals have been transmitted in its analog form via wires, a tried and tested technology and despite advancements plagued with many practical limitations as well as technical weaknesses. What actually is Wireless Audio? Wireless Audio basically uses a technology that requires a radio-frequency transmitter to transport an audio signal to a radio receiver, the audio signal is also known as a radio wave. Sounds familiar? Well, Wireless Audio fundamentally works the same way as other wireless data transmission technologies with the audio signal formatted as a digital code which protects the audio content from distortion and noise when it travels through the air. Wireless Audio technology cuts the cord but is it ready to compete with its wired counterparts? Until recently, the answer has been a loud no, especially for the Audiophiles. However, the introduction of aptX HD, a new Bluetooth audio codec looks to change all that. aptX HD is a codec, or in simpler terms, a way of encoding the 1s and 0s that make up the digital audio signal as it travels through the air. Under normal implementation, the use of codecs is to ensure the audio signal is small enough to work over Bluetooth, the aptX HD standard supports wireless audio transmission at 24-bit/48 kHz resolution, achieving Hi-Res Music standard with a data rate of 576 kbps based on a 4:1 compression ratio. aptX HD also promises higher signal-to-noise ratio with reduced latency, compared with the standard Bluetooth implementation. aptX was originally developed as part of a PhD project in the 1980s and only appeared in commercial offerings in the 1990s. 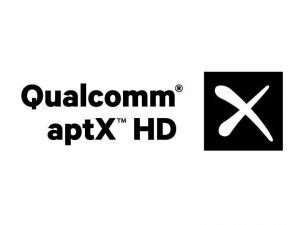 In August 2015, tech giant Qualcomm picked up the technology and advanced it, announcing aptX HD in 2016. When will aptX HD be commercially available? Products supporting aptX HD are available in the market today, the Astell & Kern A&ultima SP1000 DAP, the Audio-Technica ATH-DSR9BT over-ear wireless headphones, the Beyerdynamic Xelento wireless in-ear headset and the LG G6 smartphone, just to name a few. A number of manufacturers have also announced new products supporting aptX HD during IFA 2017 last week, namely the Aventho Wireless from Beyerdynamic; the NW-ZX300 Walkman, WH-1000XM2 wireless noise-canceling headphones and the Xperia XZ1, Xperia XZ1 Compact smartphone from Sony; the V30 smartphone from LG. Good reporting, thanks. I think as long as it exceeds CD quality, and 24/48K certainly does that, the wireless feature is compelling. If it compresses the dynamic range, hard wire will continue to rule the day. Maybe 5th generation will finally be the great leap forward. Thank you Bob, yes I agree. The 4:1 compression was done with Bluetooth 4.2 in mind, as Bluetooth 4.2 allows a data rate of 1 Mbps, so if Bluetooth 5.0 can achieve 2.0 Mbps consistently, there might not be a need to have a compression at all. This, however, we have to leave it for Qualcomm to look at. While Bluetooth 5.0 and aptX HD solves the digital signal issues, we still have the challenge of miniaturising the DAC and Amplification circuitry to fit into the Headphones, and many generations after the IEMs or Earbuds to achieve the sound quality we can achieve today from the wired offerings.